Roof access hatches and fold down ladders for safe internal access using only one hand. Ensure your roof is easily accessible and safe for authorised maintenance workers by turning to Sayfa for your roof access system. Many roof access systems provided by Sayfa have lock mechanisms which can prevent unauthorised climbing, ensuring worker safety. 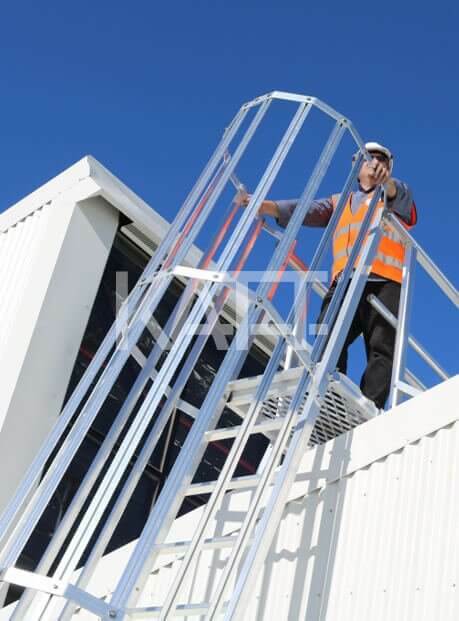 Building owners and facility managers wishing to guarantee the safety of their roofs can take our 3-minute Height Safety Health Check to see if their workers are adequately protected. Sayfa also conduct system audits in line with Australian Standards, providing recommendations and turnkey solutions as required. Sayfa are committed to providing safe working environments in the form of compliantly designed and expertly-installed roof safety systems. Entrust the security of your worksite to the team who truly cares.